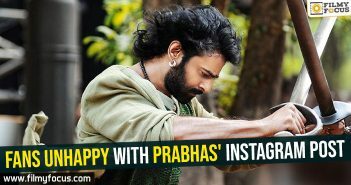 You are at:Home»Featured Stories»Prabhas to take risk with his next!? Prabhas’s market has increased by ten folds with Baahubali and if Saaho can manage to become a hit, the actor will settle as a Pan Indian star without any doubt. 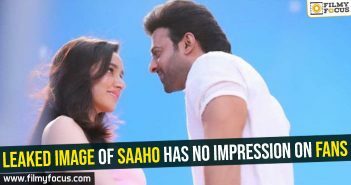 UV Creations is trying to see that, Saaho doesn’t fail in any scenario. Now, he is helping Shraddha Kapoor in Telugu & Tamil, and she is helping him in Hindi to get the dubbing right, it seems. He started his next with Jill fame Radhakrishna, which is said to be a complete love story. Pooja Hegde ks acting as his leading lady. The movie budget is also said to be more than 180 crores and Gopi Krishna movies is producing the movie with UV Creations. Movie will have only one action sequence and that will be presented in a huge fashion, it seems. This is worrying some of the well-wishers of Prabhas. They know his market has increased but making a romantic movie with such huge budget seems to be even bigger risk than Saaho!